Create the Competitive Advantage you Need. We've spent years developing groundbreaking technology designed specifically to market real estate. We've also assembled an all-star support team that understands your business. It's no wonder that the most successful real estate agents rely on HDReal® Imagery to set them apart. HDReal® is the revolutionary imaging system designed exclusively for real estate. HDReal® produces absolutely consistent high quality images that are designed specifically to make investors and tenants click on your listings. We set out to produce the highest quality imagery possible, no matter the type, price, size or location of a property. Our proprietary technology and highly skilled photography team have earned a reputation for unsurpassed quality and incredible value. Properties marketed with HDReal® images are proven to sell 45% faster than those marketed by the next most effective photography provider. Virtuance spent nearly 2 years developing HDReal® - an automated imaging system that ensures that every single image we produce has the attributes necessary to make investors and tenants click on properties that they might have otherwise overlooked. The result is that HDReal® produces consistently vivid, crisp, accurately detailed images that are proven to sell and lease real estate faster and at a higher price than other professional marketing solutions. How we get the perfect shot. Within a few hours after our photographers press the shutter, images are uploaded to our HDReal® servers, where they undergo a series of complex algorithmic adjustments. 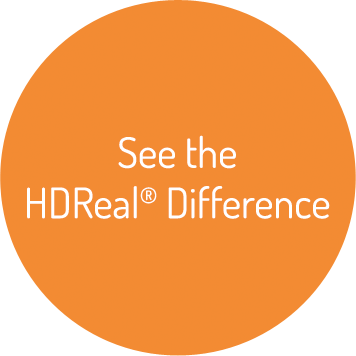 Each HDReal® image passes through a series of more than 25 proprietary enhancement and processing algorithms. We use our artificial intelligence to correct for lens distortion, perspective, contrast, saturation, and tonality among other items - all designed to produce images that are proven to get results. Images are checked for stringent quality assurance by our in-house image processing team before being loaded into our virtual tour platform and delivered to you - all by the day after your photoshoot! High-definition, full-screen mobile compatible virtual tour. Every one of our packages comes with a High-definition virtual tour complete with your brokerage branding (contact info, photo, and logo) and includes music, maps, and any other links of your choice including surveys, as-built floorplans, etc. We create gorgeous HDReal® Images integrated into our customized virtual tour platform with your colors and brand. We provide you with a hosted URL which you can use in your digital and print marketing or post to social media for maximum exposure. We’ll mail you property viewing statistics so you can track results to show your client how much traffic your listing is getting and adapt your marketing plan to achieve maximum results. We’ve built ground-breaking technology, and we think it’s worthless without proper training and top notch customer service. We have strict standards for equipment, professional experience, and personality, along with a commercial property training program we’ve developed after photographing tens of thousands of properties. Our photographers are accomplished, and most importantly, they understand how images sell commercial real estate - chances are your Virtuance photographer has photographed hundreds, if not thousands, of properties. We love our photographers and we’re confident your clients will too. 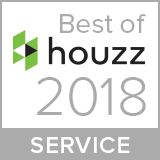 Our in-house client services team has a 97% customer satisfaction rating. Have a question about your listing? Need help distributing your virtual tour on social media? We’re here to answer any questions and ensure you get what you're looking for. We can't promise we wont ever make a mistake, but if we do, we promise we'll make it right. Small, large, and print-quality HDReal® images for both print and web use. Learn More Print-quality photos are delivered at 2,700px x 1,800px and are suitable for printing up to 8.5 x 11 with no visible loss in quality. If you'd like to be able to print the images larger, please call our office to discuss how we can help. Images Sized perfectly for your specific MLS! We guarantee that at least half of the sky will be blue in all exterior images regardless of the weather on the day of the shoot! Add HDReal® 360° panoramic images to your tour for a fully immersive user experience. Panos can be used in conjunction with gyroscopic tablet panning for an even more powerful impact that is sure to 'WOW' your sellers. Take your marketing to new heights! HDReal™ Aerial Images will provide you with 5-10 still images taken from several of the best vantage points possible using our best-in-class drone photography. We'll capture the property like never before - you'll be amazed at the incredible value of this service! Includes up to 10 stock photos. These images from our stock catalog capture the essence of a neighborhood - the shops, parks, views, and street life that attract tenants and investors to the general locations of a listing. You choose the neighborhood from our library and we provide the images. This enhancement includes up to 10 HDReal® photos and will capture the best that the surrounding area has to offer. Our photographers will visit up to 3 separate locations within a 1-mile radius of the property to showcase the surrounding area's highlights and amenities. Videos of your property are a great way to reach your target audience and improve your listings search engine optimization. We create a modern, exciting video of all the images from your property, add music and upload the video to your YouTube account to make sure that your audience can find it easily when searching online. All videos are high-definition. Let us take care of pushing your tour to your Facebook and Twitter accounts. Don't miss out on the valuable exposure your home gets on these sites. With this upgrade, we automatically link your tour directly from your social media accounts as soon as the tour is published. Your listing's potential buyers or tenants are most likely internet-savvy. This upgrade is a great way to increase the visibility and SEO of your listing online. We'll create a unique domain name for your property tour that you can use in all of your marketing. This upgrade will allow it to have a name of your choosing! Let us handle your flyer and brochure runs in-house. Using the finished photos of the property we create an attractive, comprehensive flyer and handle all your printing and delivery needs as well! In today's fast paced world, your images are likely to end up on another agent's website through IDX or even on a listing portal with other agents' names right next to your listing. Make sure buyers know that you are the listing agent with this enhancement! We'll send you a second copy of your images that include your logo and headshot so viewers will know to contact you for information about the property. *Note that certain listing portals may not allow watermarked photos.